Just over two years ago my friends created a POF profile for me. I had been single for a while after leaving a long term relationship. I figured, okay I can talk to some people online and maybe go on a few dates. Never did I imagine I would meet my HUSBAND! Adam first messaged me and commented about me being a Bruins fan. He was very cute in his pictures so I responded and our story began! We talked on POF for a little while and then exchanged numbers. We started texting and he told me that he is in the army and would be leaving for a while over the summer. I thought to myself "okay, why is this guy telling me all this?! I'm just here to make some new friends and chit chat!" We continued our conversations while he was away for the next two weeks. Every day we learned more about each other and spent the whole day talking! Finally, after two weeks of texting we could meet. Getting ready that night I was so nervous I told my friends I wasn't going to go! I must have changed my outfit 100 times before deciding on a cute pink sun dress. Per usual, I was late to dinner! We met at Papagayo in Boston. He waited out in the car for me so I didn't have to walk in and try and find him! I remember the exact moment he got out of the car and took his sunglasses off. We were both so nervous even though we had been talking for two weeks. Our first date was amazing! We ate great food and tried out some tequilas!! After getting more comfortable with each other throughout dinner we went to another bar to watch the rest of a Bruins game. Towards the end of the night Adam said he had one more place we were going to go. He has worked in the city for years and knows a lot of people. We had our first kiss and ended our first date on the roof top of a hotel drinking my favorite, red bull vodkas, and over looking the city! After all he put into our first date I knew he was absolutely someone special! After 3 weeks of hanging out, enjoying each other's company and beginning a relationship Adam left again. He studied language over seas for 6 weeks. Of course I was on summer vacation those 6 weeks!! While he was away we kept on talking at every moment we could. It was crazy how we felt about each other even though we just met 3 weeks ago! Even though neither one of us was actually "looking"'for a relarionship, we couldn't deny how special what we were feeling was. Even though he was gone for two weeks and then again for six weeks, he was definitely worth the wait!!!! 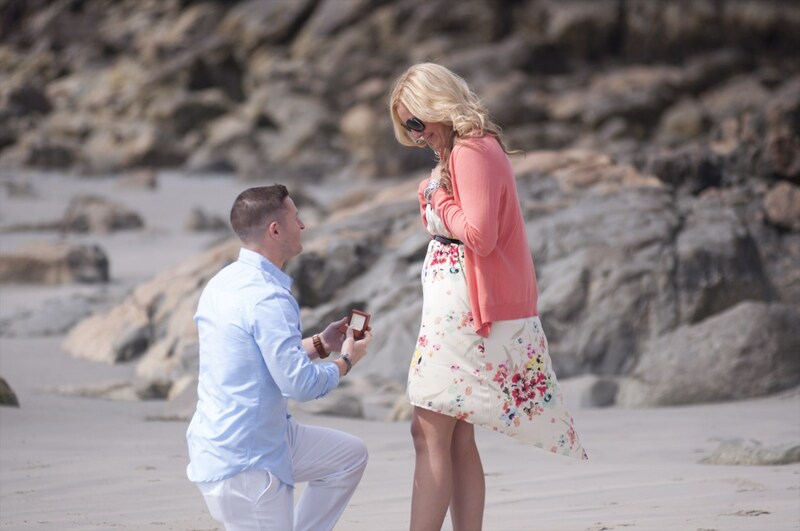 This past May Adam surprised me once again with an AMAZING engagement. We have always joked about having POF be included in our wedding someday and now we get to make it a reality! I was so reluctant at first to date online when my friends made me a POF profile, looking back it was one of the best decisions of my life!